Located in the central of Bangkok, the only Taylor shop that people have chosen, at the famous Terminal 21 shopping mall. 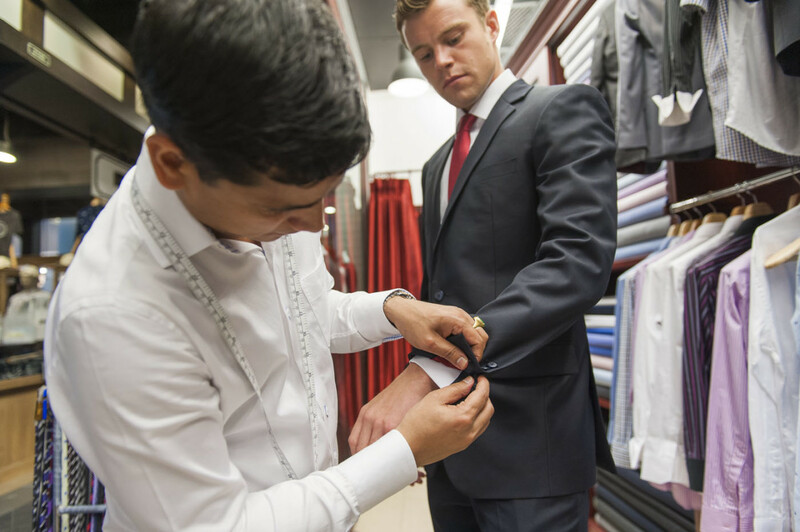 Our British Custom Taylor is proud to say that everyone wishes to be the best tailor in Bangkok. Every tailor shop may make the best self-declaration. We are doing our best for those visiting us. I would like you to look nice, happy and satisfied. I would like to hear the word of joy of truth from the customer, not about us. 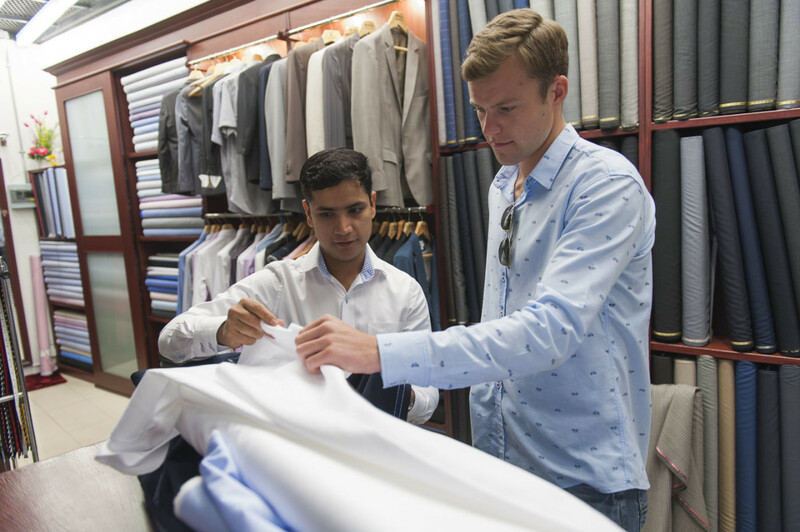 British custom tailor, lead by Mr. Ram (Shop Owner & Head Taylor), offers excellent-quality custom-made clothing. From the early 1900's to the 3 generations, Ram's family was a pioneer in tailoring services. In our tailorwe select and use high quality fabrics specially ordered from Italy and the UK. Ram has only one philosophy when it comes to running his shop "I serve the people and their every tailoring need and desire.To satisfy customers,to not let down. I would like to feel that customers have chosen our tailoring of suit & shirt with satisfaction and confidence." Combining traditional & modern tailoring methods, British Custom Tailors produce a range of bespoke garments, including business suits,morning suits, wedding suits, waistcoats, trousers, skirts, overcoats and shirts, all of which are contemporary styled, perfectly fitted and of exceptional quality and value. For detailed instructions, please see How to Find Us >>> .